Her married name became Heneage.3 From 19 February 1565/66, her married name became Wriothesley.4 After her marriage, Hon. Mary Browne was styled as Dowager Countess of Southampton on 4 October 1581.3 From May 1597, her married name became Hervey.3 Her last will was dated 22 April 1607. [S6] G.E. Cokayne; with Vicary Gibbs, H.A. Doubleday, Geoffrey H. White, Duncan Warrand and Lord Howard de Walden, editors, The Complete Peerage of England, Scotland, Ireland, Great Britain and the United Kingdom, Extant, Extinct or Dormant, new ed., 13 volumes in 14 (1910-1959; reprint in 6 volumes, Gloucester, U.K.: Alan Sutton Publishing, 2000), volume I, page 264. Hereinafter cited as The Complete Peerage. [S15] George Edward Cokayne, editor, The Complete Baronetage, 5 volumes (no date (c. 1900); reprint, Gloucester, U.K.: Alan Sutton Publishing, 1983), volume I, page 122. Hereinafter cited as The Complete Baronetage. [S6] Cokayne, and others, The Complete Peerage, volume XII/1, page 130. John Aytoun married Agnes Wemyss, daughter of Sir John Wemyss of Wemyss and Margaret Otterburn, in 1567. 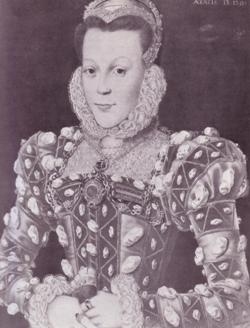 David Barclay married Margaret Wemyss, daughter of Sir John Wemyss of Wemyss and Margaret Otterburn, on 27 November 1555. He lived at Collairnie, Fife, ScotlandG. Gavin Wemyss is the son of Sir John Wemyss of Wemyss and Janet Trail. He lived at Rowguild, Auchtederran. Patrick Wemyss was the son of Sir John Wemyss of Wemyss and Janet Trail. He died after 1596. He held the office of Burgess of Dysart. 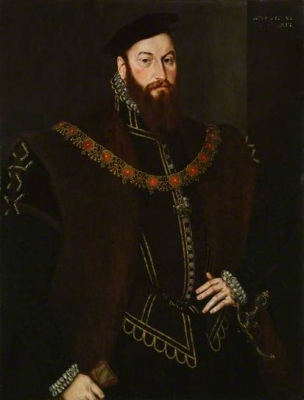 Anthony Browne, 1st Viscount Montagu was born circa 1527. He was the son of Sir Anthony Browne and Alice Gage. He married, firstly, Lady Jane Radcliffe, daughter of Robert Radcliffe, 1st Earl of Sussex and Lady Margaret Stanley, circa 1551.3 He married, secondly, Magdalen Dacre, daughter of William Dacre, 3rd Lord Dacre (of Gilsland) and Lady Elizabeth Talbot, before 10 December 1558.4,5 He died in 1592. [S18] Matthew H.C.G., editor, Dictionary of National Biography on CD-ROM (Oxford, U.K.: Oxford University Press, 1995), Browne, Anthony. Hereinafter cited as Dictionary of National Biography. [S15] George Edward Cokayne, The Complete Baronetage, volume IV, page 14. [S6] Cokayne, and others, The Complete Peerage, volume IX, page 100.